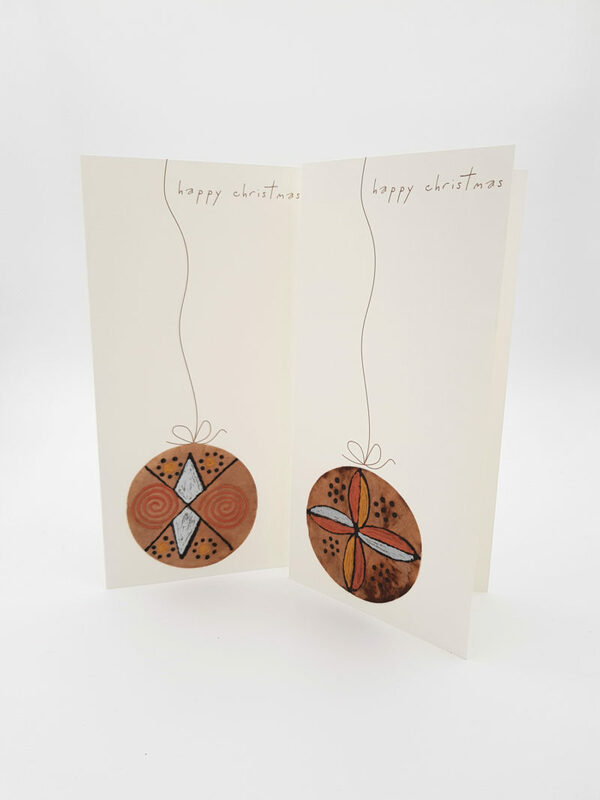 Cream Card decorated with hand painted /crafted recycled round tea bag. Front reads “Happy Christmas”. Left Blank inside for your greeting. 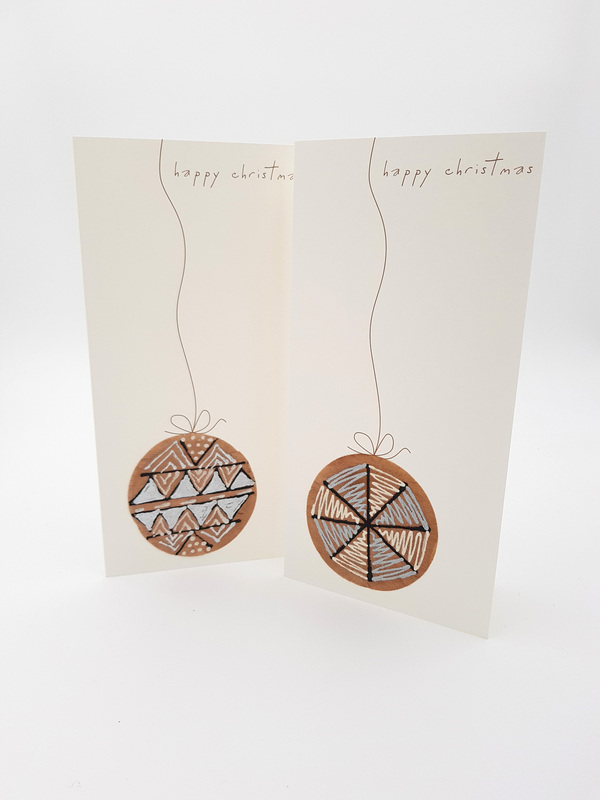 ( 2010 and Traditional cards – Patterns will vary).